The Bhagavad-gita is a conversation between Arjuna, a supernaturally gifted warrior, and Lord Krishna , who was acting as Arjuna’s charioteer. The Gita was spoken in order to encourage Arjuna to fight a great war. In the course of giving Arjuna all types of spiritual and material advice, Krishna discusses various topics like karma, the self, the Supreme Self, the purpose of yoga, how our environment affects our consciousness, and how to attain the ultimate perfection of life. The questions appear to deal only with such a person’s external behavior, but Srila Visvanatha Cakravarti Thakura reveals each question’s internal meaning. Bhurijana Prabhu, a disciple of Srila Prabhupada, in his book Surrender Unto Me extensively cites this commentary to show that Krishna answers each part of Arjuna’s question in detail. Most of this article is based on the explanations given in this book, and some statements are directly quoted (“”) as they are. Arjuna’s question can be divided into four parts: 1) what are the transcendentalist’s symptoms, 2) how does he speak and what is his language, 3) how does he sit, and 4) how does he walk? “The sthita-prajna reveals his position by having no selfish attachments. He is detached from both happiness and misery. Rather, he is fully satisfied by fixing his consciousness on the self.” In other words, he is equipoised. It is easy to exchange love for love. When someone, even if it is a stranger, greets us with a loving “Hi,” it is so easy to reciprocate with a cheering “Hello.” But this does not completely reveal how we “speak” or respond. The test of our speech is how we respond when someone inflicts a mental injury to us using his or her vocal chords. Do we remain calm or do we explode? Do we react violently in such provoking situations? We need to learn to speak pleasantly even with those who are inimical to us. It will help in toning down the bitterness in relationships. A sweet response can even avert a potential confrontation. Once a man approached a parrot-seller to buy a parrot. The parrot-seller said, “I have this special parrot for you. If you pull his one leg, he chants the name of Krishna . And if you pull the other, he chants the name of Rama.” The person was thrilled to see such a saintly parrot, and he immediately purchased it. Whenever guests would visit his home, this man would proudly show his parrot to them and make them hear the divine names of Krishna and Rama from the parrot’s mouth. Our strength of sense control is tested in solitude. It is easy to display saintliness in public, but a true saint maintains his purity both in public and private life. Today if a person is left alone for some time, he automatically turns towards the internet to get trapped inside the World Wide Web. Often this virtual journey starts with watching daily news, proceeds to entertainment videos, and ends in watching illicit stuff. Leisure should be used for relaxing but leisurely activities should not degrade our consciousness. Leisurely time should help us march toward peace instead of agitating us. If we are struggling to restrain our senses, we should try to divert them to spiritual activities like physical yoga, mantra meditation or reading scriptures like the Bhagavad-gita. This will help in purifying the mind and controlling the senses. 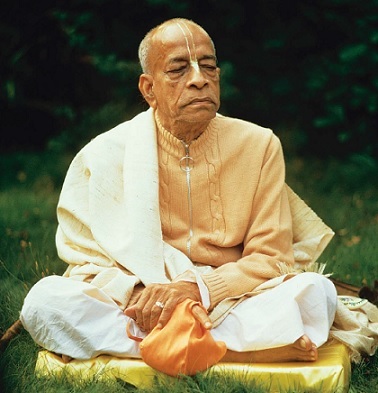 Later in the Gita (9.14), Krishna describes the activities of great transcendentalists: “Always chanting My glories, endeavoring with great determination, bowing down before Me, these great souls perpetually worship Me with devotion.” The word always is important here. If the hyperactive mind is bereft of a constant engagement, it goes wild and drives the soul towards degradation. What could be the best and most effective activity by which we can control our mind and senses? The Vedic scriptures explain that chanting the holy names of Krishna is the best medicine for the maniac mind. The holy name fixes the mind on Krishna and thus purifies the mind of all the contaminations arising due to previous indulgence in sinful activates. In conclusion, the Supreme Personality of Godhead, Lord Krishna , answers Arjuna’s question perfectly, by citing the internal symptoms of the sthita-prajna transcendentalist. Yugavatara Dasa is an associate professor of Anatomy in KEM medical college in Mumbai.